Today, I woke up to a cold fall day which is a plain reminder that hot summer days are ending. 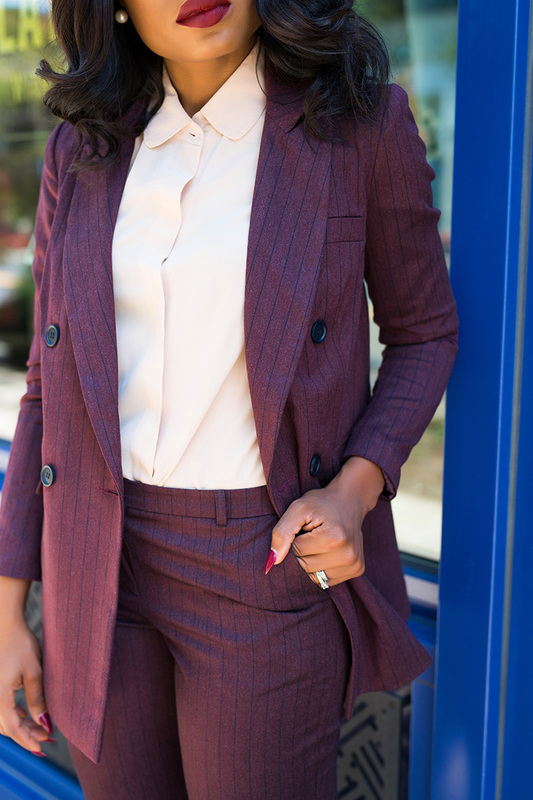 For fall work outfits, the goal for me is to stay warm and chic which is why colored suits and pinstripes are some of my favorites. 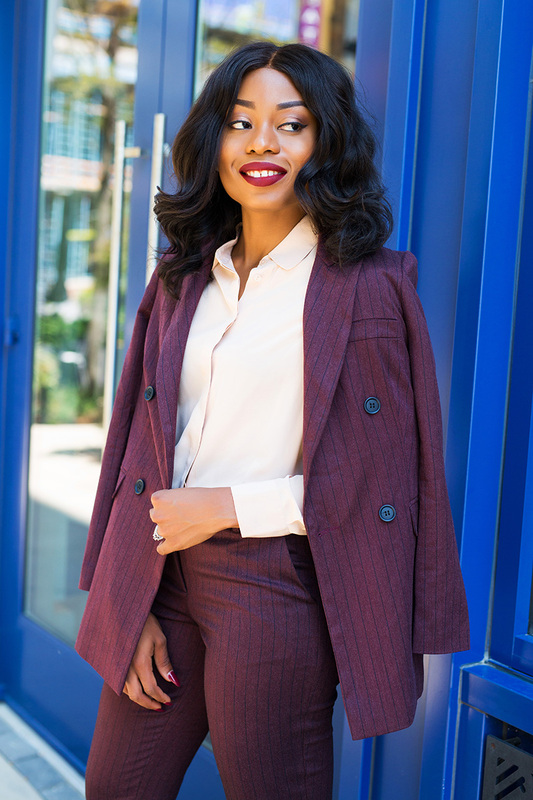 Pinstripes and colored suits such as olive green, red, fuchsia, and blue pinstripes are great ways to add color to your work style. 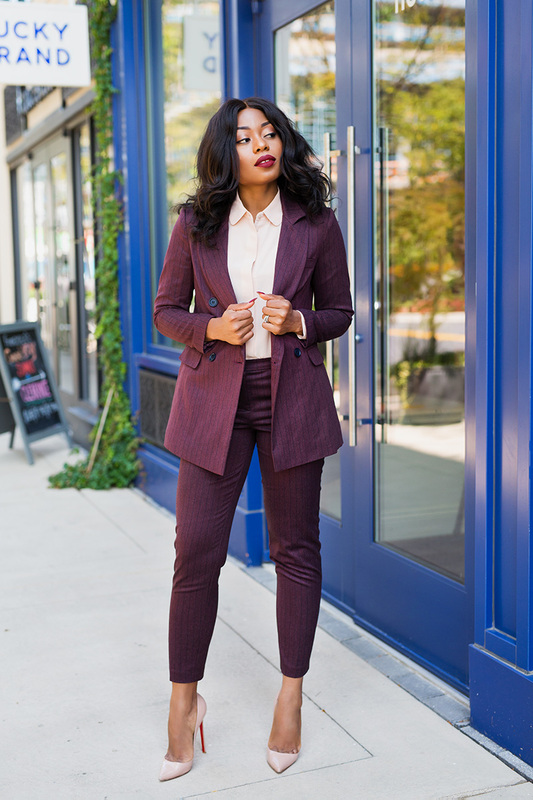 For this post, I paired the pinstripe burgundy suit with a beige shirt and beige pumps. Hi Stella. Always lovely to stop by your site. 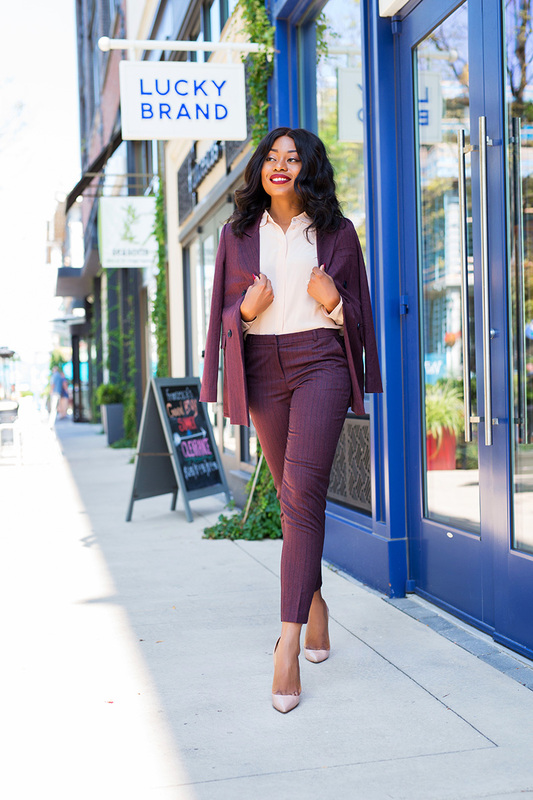 Do you usually have your clothes tailored after purchasing? @The Adri Chroonicles: Thanks for always stopping by. 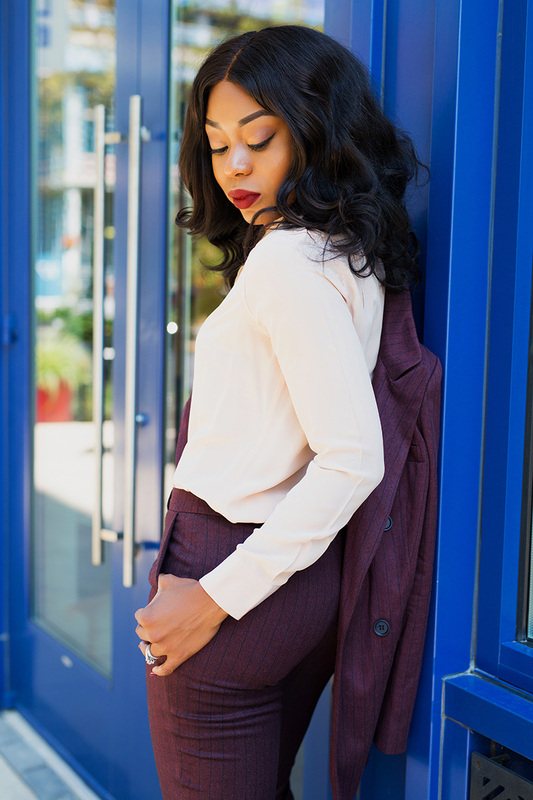 I rarely have my clothes tailored. 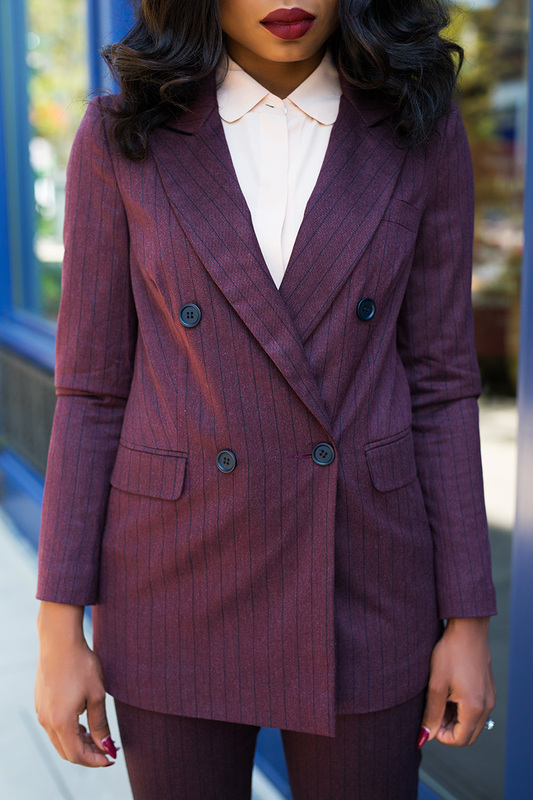 I have probably only had less than five items tailored. There are some outfits I wouldn't think of touching with a long pole...till I see them on you and then I say maybe it would fit. This is one of such.